"Once in the Spring, Again in the Fall"
Each little shape is hand cut from paper then hand stained. 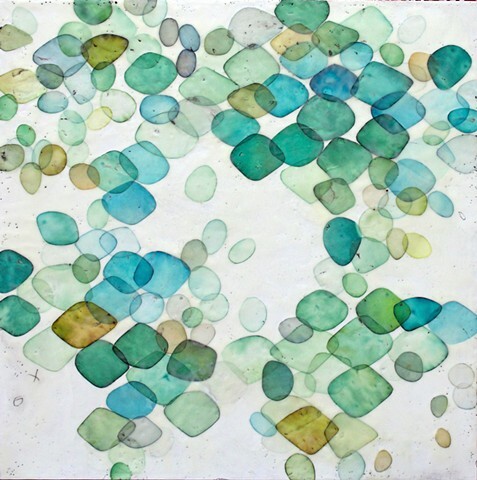 They are then suspended between layers of clear encaustic medium to create a thick translucent surface which draws the viewer into the piece. When the wax is fused into the paper the paper shapes become translucent. In areas where the wax application is thickest there is a subtle golden depth to the wax. I use a torch to manipulate and fuse the wax this gives my surfaces a beautifully textured finish.